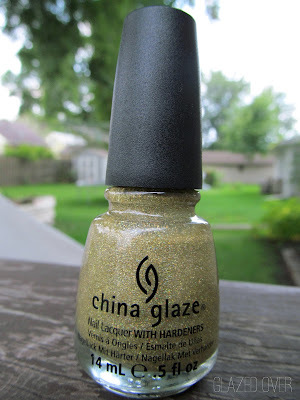 This is a (relatively) oldie but goodie polish, from China Glaze's 2012 Holiday collection. This holographic beauty is called Angel Wings. Angel Wings is my quintessential favorite polish - absolute holographic goodness; stunning in the sunlight and subdued (but still awesome) in normal lighting. 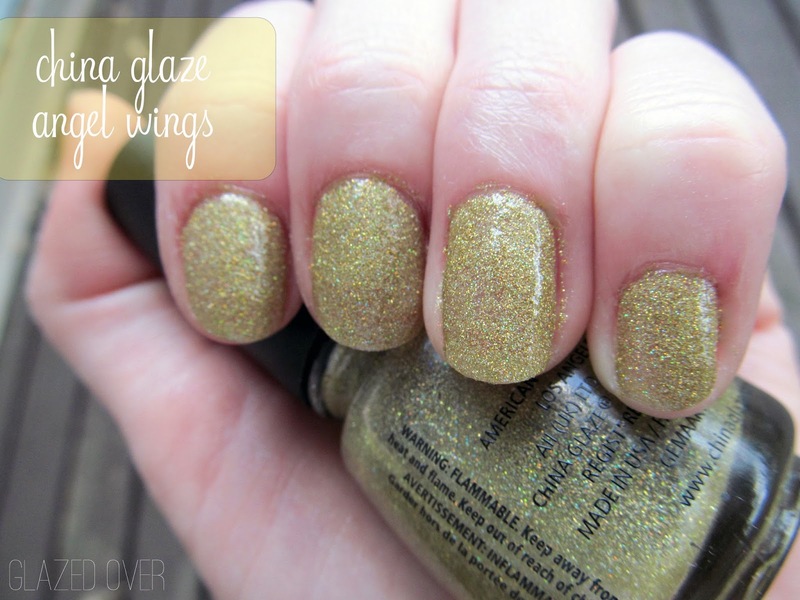 It's a pretty gold holographic glitter that leans toward the green end of the gold spectrum. It reminds me of a muted Holo Yellow by Kleancolor. I used two coats of Angel Wings followed by two coats of Sally Hansen Insta-Dri top coat. Beware, this polish is a MAJOR top coat hog. Even after doubling up on the top coat my nails still feel gritty instead of smooth. Not a big deal though, this is one gorgeous polish! Don't you agree? I can't resist a glitter polish!